For many of us, Advent is the most wonderful time of the year. We all look forward to Christmas holidays, enjoy the festive mood and spend more time with family and friends , expecially around holiday table. And traditionally, it's a cod fish that can be found on almost every Christmas Eve table in Croatia. Soak the cod fish in cold water for 12-24 hours, changing water a few times during this period, until the meat swell up. Afterwards, place the cod in a pot with fresh cold water and cook until it fully softens. Remove skin and bones from the fish and flake the meat into pieces using a fork. Set fish aside in a large bowl and add warm olive oil (you can add some cold oil too), minced garlic and chopped parsley. Season with salt and pepper to taste. Place it to a food processor or use hand mixer, and blend until it becomes a tender smooth paste. Add its own cooking liquid when needed. Sprinkle some olive oil and serve it with rolls or toasted bread. There are also numerous ways of preparing cod fish „in red“. In addition to basic ingredients, such as garlic, parsley, potatoes and olive oil, those recipes include dried or tomato puree with some wine and pinch of sugar to balance the acidity. In latest versions there are also pine nuts, raisins, black olives and anchovies. If you are a fan of a cod fish or you simply want to try it, don't miss an opportunity to visit our restaurant Marina. During the period from 9th to 24th December there will be delicious cod fish dishes included in the menu. We recommend cod fish „in white“, brodetto or cod fish fillet in white wine, and if you want to try several dishes at once you can order tris or cinquina, selected cod fish dishes in one serve. 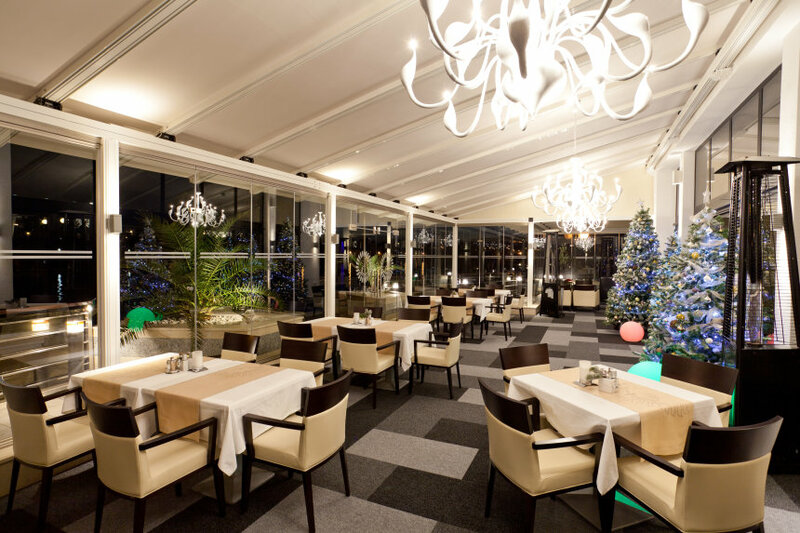 At Marina restaurant is one of the best Krk's venues for business parties and events, as well as for gathering with family and friends, enjoying delicious holiday specialties. After fine dining, we recommend experiencing the holiday spirit in the town of Krk - "Advent on placa". On Saturdays, on 15th and 22nd December everyone is invited to Krk's main square to enjoy live music performances, taste delicacies and warm drinks (mulled wine, sausages, cookies...) and share holiday joy. There will also be a small Christmas fair of local products where you can take your pick of seasonal products, handicrafts, food or drinks.